The Tempest, Act IV, Scene i. 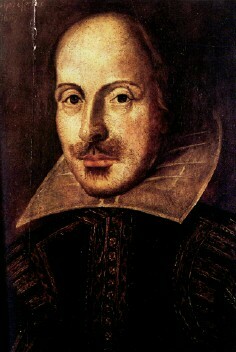 The highlights of this site are digital facsimiles of Much Ado About Nothing and Love's Labour's Lost, extracted from a broken-up copy of the Second Folio of Shakespeare's works, published in 1632. I've also included some Shakespearean commentary by the great Dr. Samuel Johnson, a small gallery of Shakespeare images, a brief nod at the authorship "problem", and links to my favorite Shakespeare sites. I hope you enjoy your visit, and if you like, please stop by my home page to learn more about the people, places, and things that interest me. as one of the best educational resources on the Web. © 1999 by Clark J. Holloway.